This is a collective effort from Fan Fun team in throwing a birthday party for Helen on the blog. Hope you all enjoy it! It’s quite easy to figure out why Damian fell in love with his better half: Beauty, talent and brains, a rare combination, seem to have come together and stolen our guy’s heart. The couple has been together for more than a decade, married for ten years and going as strong as ever. We wished them a Happy Anniversary more than a month ago here. Luckily, they follow up with a phone call kindly asking Helen whether she says yes or no to the OBE. We cannot wait for Helen to receive it with her proud husband beaming with pride by her side like she did for him two years ago! 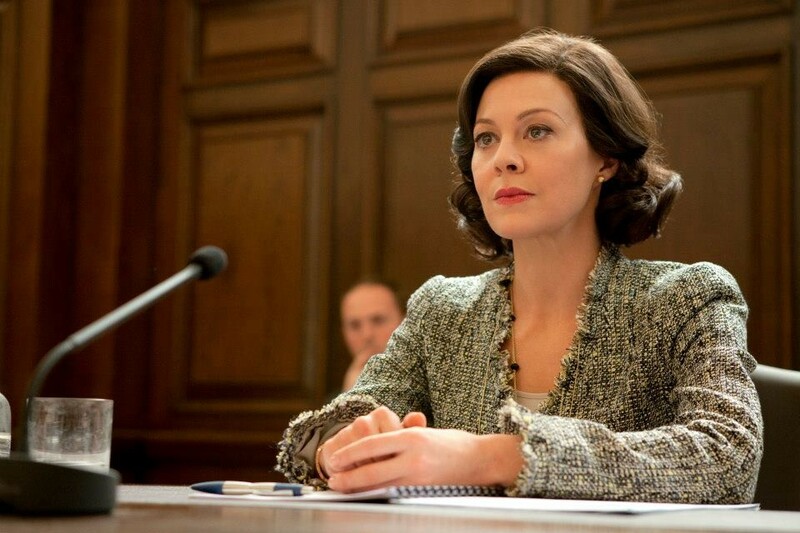 While she keeps enticing us with her Aunt Polly in Peaky Blinders, Helen is currently headlining Fearless, an ITV show in which she brings to life Emma Banville, a human rights lawyer working to free a man who she believes is wrongly convicted for murdering a young girl. Knowing Damian loves Helen and she loves him back make us LOVE Helen in the first place! And getting to know her a bit over the years through interviews and JaniaJania and me having the privilege to meet her earlier this year make us feel she’s the kind of woman whose company we would really enjoy; in fact, in another life, we could have been friends. So… Here’s our TOP 12 reasons to LOVE Helen! Feel free to add to our list or make your own list, too! 1. She’s not an island, but involved in the world around her. And, hey, she’s opinionated, too! Once you read about Helen’s thoughts about modern society, how many of you nodded your head in agreement with her and then absentmindedly picked up your phone/tablet/laptop/assorted various other technological gadgets because it is now simply second nature? Good on her for trying to ensure her children aren’t permanently glued to a computer screen/other gadget. It is not an easy rule to enforce given how rapidly technology is developing and a child’s need to be doing what their friends are doing. 5. She’s a down-to-earth mother. 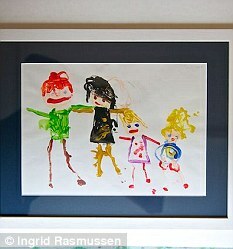 Helen shares with Daily Mail, among other precious family keepsakes, Gully’s first drawing of the family. Can it get sweeter than this? 7. She has her priorities set even on the day she and Damian attend a state dinner hosted by President Obama at the White House! “The actors were told by protocol officials to turn up at 7pm prompt and that make-up and hair could be arranged for them a few hours before. ‘We turned that down,’ says McCrory. ‘I’d never been to Washington before and wanted to hit the sights and see a couple of museums. Hey, you two, are you wizards or what, all of this in five minutes? Is she Narcissa and her wand? 8. She knows how to have a GOOD time! Look at this sweet little video clip from Harry Potter and the Deathly Hallows, Part II premiere after-party. Pay attention and you will see Helen and Damian dancing in the very front. Hey, you two, hope the dance of your love lasts for the longest time! 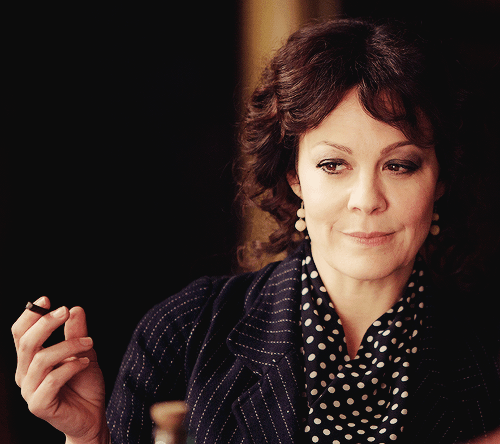 Well, we binge-watched the first two seasons in a week or so, and Helen’s Aunt Polly left us in awe craving for more! The writing, the acting, the cinematography and THE MUSIC just rock!!! In case you haven’t seen Peaky Blinders yet: It’s about Shelby family, a family of gangsters operating in post WWI Birmingham. 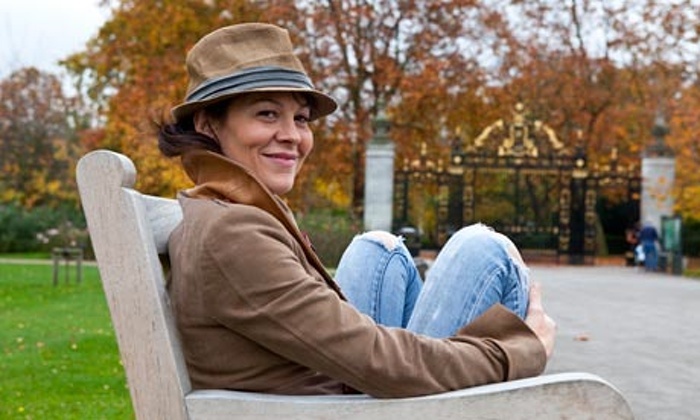 Aunt Polly is the BRAINS of the family along with Thomas Shelby (Cillian Murphy) and she ran the “business” when the young guys were away at war. Polly has her own baggage, too; and she is a woman that you would not want to mess with… ever… well, exactly like the woman who plays her! 🙂 And if you wanna find out about what happen to people that messed with her, Peaky Blinders is available on Amazon as well as on iTunes! And, I cannot wait for Season 4! At the same time Damian was telling us that his children thought he had won “an Emma” while he was putting in star performances as Nicholas Brody, he was also telling us how Helen is the cool one in the family. Quite simply because Helen had been in Harry Potter and Doctor Who and daddy just can’t compete with that. In Harry Potter, Helen played Narcissa Malfoy who in the end betrays Voldemort to ensure her son’s survival. Mummy is cool as cucumber indeed! In Doctor Who she plays Rosanna Calvierri who with her family is fleeing from the silence. Mummy dearest plans to turn Venice into food for her sons. We hope Gulliver is hungry! 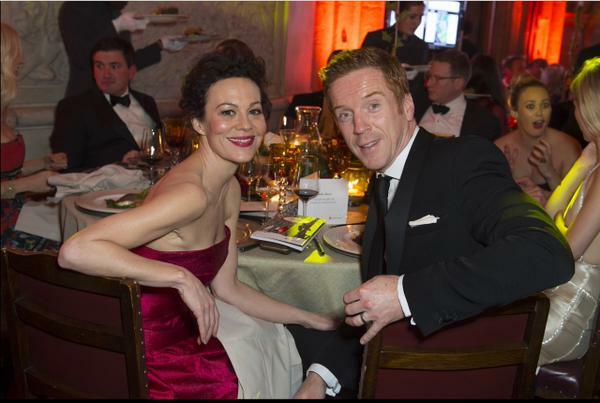 And, we have enjoyed and got excited over James Bond rumors, but hey Helen was already in Skyfall! 11. She is one smart cookie. Thank you, Helen, for being you! 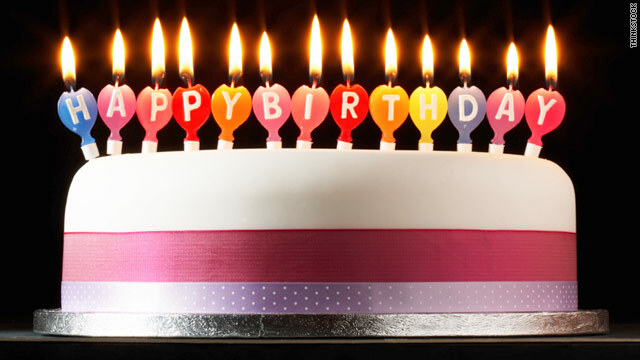 Happy Birthday – make it count! This is an absolutely adorable and fantastic way to say “Happy birthday!” I’m so pleased to have discovered this site. Hi Sharane, thank you for your kind words and WELCOME to our blog! We LOVE Helen and wanted to make her a birthday card that would show our admiration and respect for her. LOVE it that you find it adorable! You’re all doing a fantastic job. So thank YOU! One thing I don’t understand is how Helen could mistake an official letter from Department of Foreign and Commonwealth as a parking fine. She states that she thought it was a parking fine for Damian but it the thing it would have been addressed to her. So how can you not open a letter addressed to yourself especially one that is very official looking. Weird story. Hmmm… that’s my spontaneously made-up story: The car is registered in her name but Damian drives it. So when the official-government-looking envelope comes, she automatically thinks (maybe he gets parking tickets quite often, who knows? :)))) she thinks it is one of those because it looks very similar to the ones that come. I think it is quite possible when you are a very busy person going through your pile of mail 🙂 PS. She is, I think, myopic like me, too; she may not have seen where the mail was coming from. Hehe.